Qapital Review: Is Automating Your Savings a Good Idea? In this Qapital review, we cover the pros and cons of this unique, goal-based banking product and help you decide whether a Qapital account is right for you. Everyone needs to have one or more bank accounts. Your checking account is like Grand Central Station for your finances. All of your income arrives in the account and all your expenses are paid out of it. Your savings account is where you put money that you don’t need in the near future, giving it a chance to grow. Many people, however, have trouble building up a balance in their savings account. In fact, the majority of Americans have less than $500 in their savings account. Having money in a savings account is important. It can help you avoid costly debt if you ever encounter a financial emergency. You can also use your savings to fund goals like going on vacation or buying a new car. Qapital is a bank that aims to make it easier to save by offering fun ways to automate the process and powerful goal tracking tools. 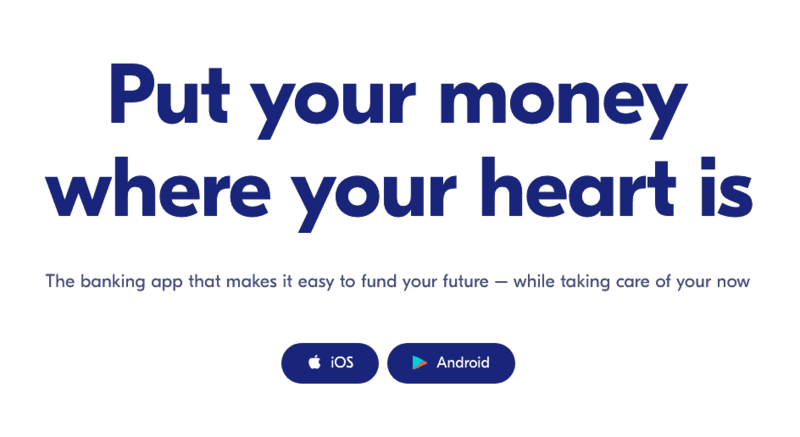 See Also: Acorns Review: Is Investing Your Spare Change with an App Worth It? Does Qapital work with prepaid debit cards? How does Qapital make money? Cannot access your account from a desktop or laptop. You must use the Qapital app. Best for: People who have trouble saving will get the most out of Qapital. If you like automating things or gamifying your finances, Qapital can help you make saving more fun. Qapital is a free savings app that aims to make it easier to save towards your goals. It does this by integrating standard checking accounts with a sleek, easy-to-use app and a number of innovative automation tools. It does this by providing bank accounts and automated savings tools to customers. You can use Qapital’s tools to keep track of your spending money and automatically move money into a separate account that you can use to save towards your goals. Signing up for Qapital is easy. Anyone can download the app directly to their Android or iOS smartphone. Once you’ve downloaded the Qapital app, signing up is much like opening a new bank account. Really, that’s what you’re doing when you open your Qapital account. To open a Qapital account, you must be at least 18 years old and have a U.S.-based checking account. You’ll use this account to make your initial deposit to your new Qapital account. When you sign up for Qapital, the company will start by verifying that you truly own the checking account that you’re linking to the service. It will do this by making two small (less than $1) deposits to your checking account. You’ll be prompted to enter the amount of these deposits to prove that you own the account. Once you enter that information, your checking account will be linked to Qapital. This process can take two or three business days, so be ready for a short delay in setting up the account. Qapital’s goal is to make saving automatic and fun. Once you’ve signed up for Qapital, you can establish one or more savings goals that you want to pursue. You may hope to buy a new car, go on vacation, or save a certain amount of money in an emergency fund. Whatever your goal, is, Qapital can help you reach it. After you’ve established a goal, you can create savings rules that will automatically move money from your linked checking account to your Qapital account. Each time you meet the requirements stated in the rule you create, you’ll save some money. Qapital offers eight savings rules that you can choose from. Apple Health: You can link Qapital to the Apple Health app to automatically save some money every time you work out. When you log a walk, bike ride, run, or other workout sessions, Qapital transfers money to your account. Guilty Pleasure: Every time you indulge in a guilty pleasure, like a cup of coffee from your favorite coffee shop, Qapital will move some money into your Qapital account. All you have to do is make the purchase with your debit card. Round-Up: When you make a purchase using your debit card, Qapital will automatically round the amount of the purchase up to the nearest dollar (or more if you want it to) and deposit the difference in your Qapital account. Your $12.50 movie ticket becomes a $12.50 ticket and $0.50 sent to savings. Spend Less: If you know how much you usually spend when you go out shopping, you can use this rule to reward yourself with savings when you spend less than expected. For example, if your weekly grocery cost is usually $50 and you spend $40, Qapital transfers the extra $10 to your Qapital savings account. Set and Forget: This simple rule moves money from your checking account to Qapital once per week. Just set the amount to start saving. The 52 Week Rule: This savings challenge moves $1 to your Qapital account on week one. Week 2 see $2 moved, Week 3 sees $3 moved, and so on until you save $52 during week 52. After one year, you’ll have an extra $1,378 in your account. Freelancer Rule: If you freelance, this rule can help you avoid a painful and surprising tax bill. Every time you receive a deposit larger than $100 to your checking account, Qapital transfers a percentage of it to savings. IFTTT: This acronym stands for “If This, Then That.” This powerful web-based tool helps you automate all sorts of things based on conditional statements. Qapital has partnered with IFTTT to let you create highly customizable savings rules. For example, you can create an IFTTT rule to move ten cents to your Qapital account every time you send a tweet. Payday: This rule is pretty straightforward. The biggest danger with an automated savings system like Qapital is overdrafting your checking account. Qapital moves money from your checking account on a regular basis. Therefore, it’s easy to lose track of how much you have available to spend. With Qapital’s Failsafe Mechanism, you can set Qapital to stop making transfers when your checking account balance falls below $100. This means you’ll keep enough money in your checking account to avoid overdrafts and the related fees. Qapital is in the process of expanding its service to offer automatic investing services. Moving money to a savings account is a great way to save for shorter-term goals or to build an emergency fund, but long-term savings should be invested so they can take advantage of the growth offered by the stock and bond markets. Like Qapital’s normal service, Qapital Invest is a rule-based tool that automatically moves money from your checking account to an investment account. You don’t have to worry about managing your investments, as Qapital’s system will purchase a diversified portfolio on your behalf. All you need to get started is a $10 deposit. Qapital is a powerful, but potentially complicated tool. Here are some of the most frequently asked questions about the service. No, Qapital does not work with prepaid debit cards. You must have a debit card from a U.S.-based bank in order to use Qapital’s service. Qapital takes the money in your Qapital account and deposits it to banks in the United States, earning interest on the money it deposits. It takes some of this interest to cover operating costs. There are no fees to use Qapital. The goal of Qapital is to help people save and to make saving fun. If you’re the kind of person who knows they should save but has trouble doing it anyway, Qapital is a great way to get started. Making the process automatic or turning it into a game is a great way to create better savings habits. The less you have to think about it, the easier it will be for you to build up a balance in your savings account. If you already have a strong handle on your finances and have a savings plan in place, you’ll get less use out of Qapital. Still, the service is free to use, so you might want to sign up just to check it out. Qapital offers a way to transfer money from your checking account to a savings account automatically, using a series of rule-based triggers. 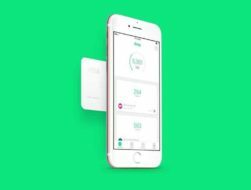 Whether you’re looking for an easy way to track your goals and move money to a savings account, or you want to turn saving into a fun game, Qapital gives you the tools that you need. Click here to open a free Qapital account and start saving for your goals.